Collection of 1 lb Cosmos bipinnatus and 1lb Zinnia elegans. Annual – blooms quickly in the first growing season but must be replanted the following year. This easy-to-grow collection grows with ease in any sunny area with well-draining soil. Plant in a meadow, replace part of your lawn, sprinkle seed in large planters, or create an instant cutting garden with this collection. 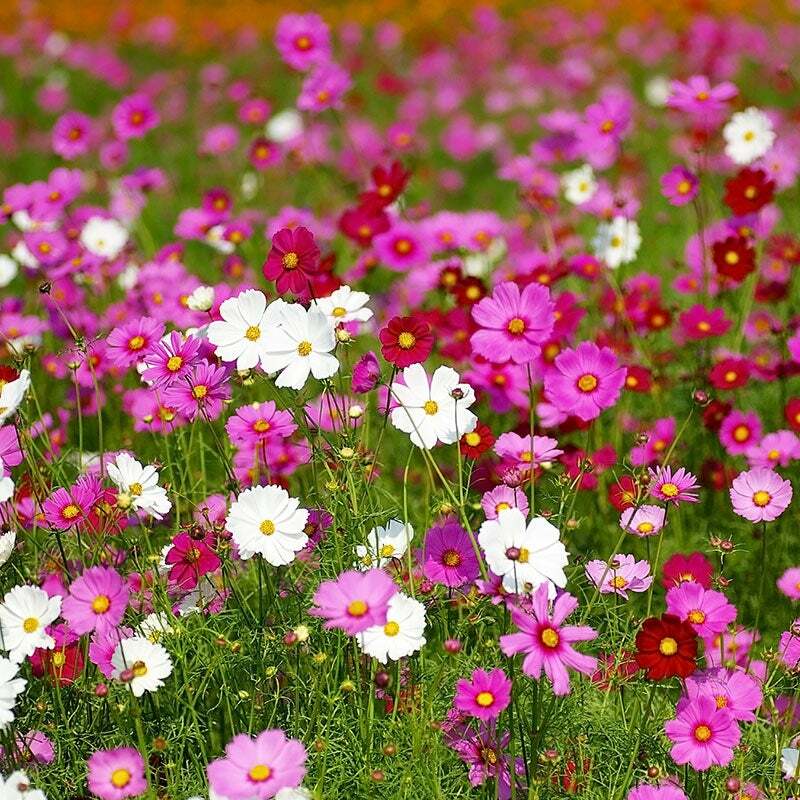 Both Cosmos and Zinnias attract a variety of bees, butterflies, and other beneficial bugs to the garden. Deadhead spent blooms to promote more flowers throughout the season.